For an optimal viewing experience, we encourage you to view this page on an internet browser on a personal computer. Tablets, phones, and other mobile/media devices may not offer the best experience! 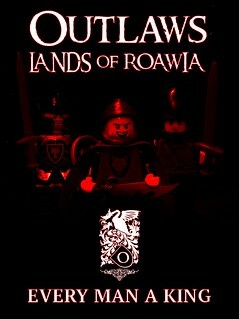 Scorned, shunned, and spat upon; the Outlaws are the undesirable misfits of Roawia. Some Outlaws call Baron Locklear their King and leader, other Outlaws will bend their knee to no one. There are Outlaws who seek to find redemption in the lands of Roawia and others who seek to bring its total destruction through chaos and anarchy. 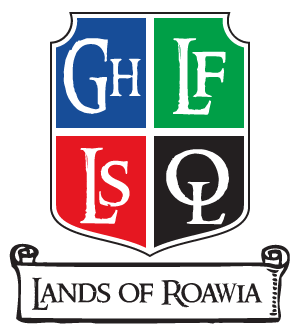 Rules and obligations are for the weak factions of Roawia; Loreos, Garheim, and Lenfald. Freedom is for one faction only; the Outlaws. Become an Outlaw today, and experience true freedom. In times past, the Outlaws have not been a united faction but consisted of anyone not part of any of the three Provinces. Currently, under the leadership of Baron Locklear, some Outlaws are subject to his authority (probably for their own personal benefit) while others could care less of his position. They will do what they want and bend their knee to no one. The Outlaw faction as a whole, consists of; city states whom follow the leading of Baron Locklear, various clans and tribes of thieves, bandits, rebels and other outcasts as well as individuals who have been exiled for openly practicing magic. Some of these individuals were exiled for the wrong reasons, and even now seek to return to their homeland and be accepted again. The Outlaws are found all over Roawia and come from many different races, but the majority of them gather in the unclaimed southern lands and islands, especially the mountain area called The Shade and the Magic Island in the east sea. However, they are not bound to these two locations alone. For a complete view of the Outlaw Faction map with more locations check out this finished version or continue scrolling. Contrary to popular belief, there is far more in the badlands than just swamps alone. 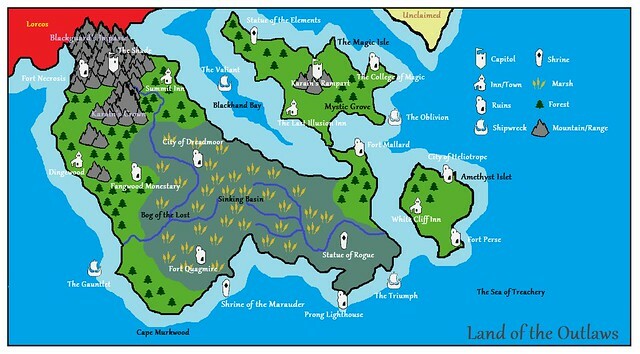 As a matter of fact, the badlands and magical isles offer a large variety of environmental settings, each with its own unique flavor. 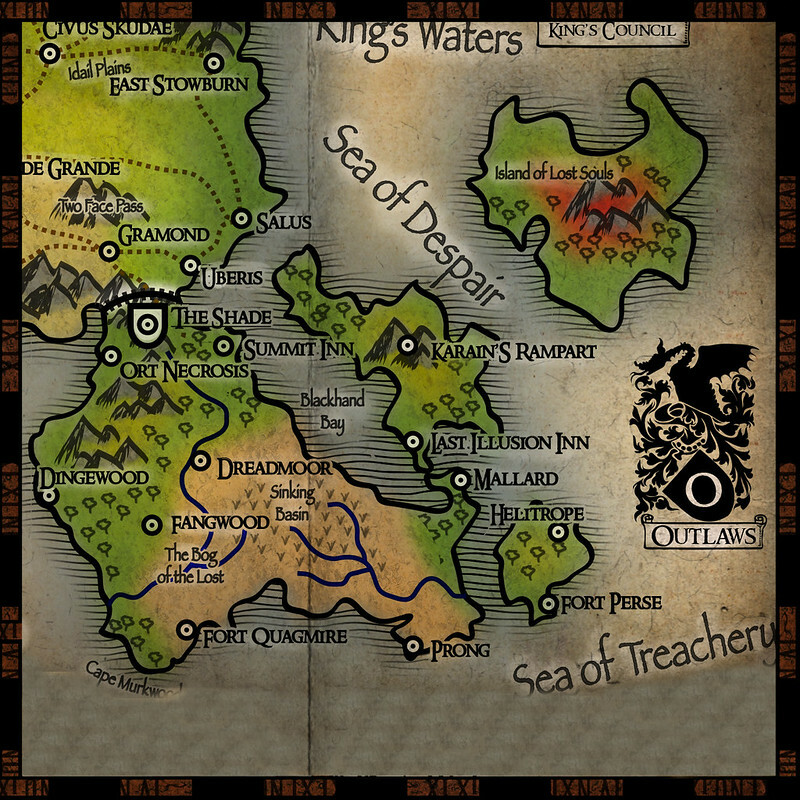 -If one were to come to the badlands through the southern Loreesi border, they would come to Blackguard's Impasse, stones and mountains for miles and miles, stretching across a very narrow land, making Blackguard's Impasse a natural boundary to Loreos. Only those who are familiar with the area could ever hope to navigate it. Deep within the heart of these mountains and valley's, lies the Outlaw capital, "the Shade." -On the western coast of Southwestern Roawia, in the badlands, sits the town of "Dingewood." Dingewood's location is surrounding by natural forests and some manner of mountains as well, sitting on the coast all the while. -If one were to continue to the heart of the badlands, they would come into bogs and swamps as far as the eye could see, composing over 70% of the badlands, thus giving the reputation, "Outlaws must live in swamps!" 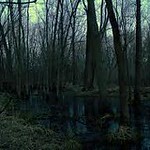 Within these swamps, lay all manner of creatures and humanoids. 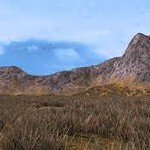 -Off the eastern coast sits "Amethyst Isle" an island with few trees and flat plains. 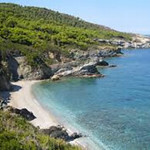 On this island are some of the nation's finest beaches; one of Roawia's best kept secrets! 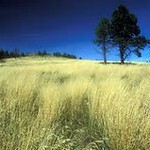 -To the northeast of the badlands sits an island; the Magic Isle. It is hear Karain's Rampart sits, though currently uninhabited. - Like all the other factions, the Outlaws do maintain a "Capital" of sorts. The largest and most inhabited city in all of the Badlands is The Shade, a shanty town nestled among the mountains Blackguard's Impasse. At the peak of the shade sits the castle of Outlaw leader, Baron Locklear. As one goes lower within the favela, less structure and order can be found. With little law in the lower slums, many gangs roam wild and unchecked, fighting for control of territory and goods. While Baron Locklear is the "official ruler" of the Outlaws, (after the first ever Shade Noble Ballot) not all Outlaws recognize him as their leader. As a matter of fact, many Outlaws would not follow any leader. 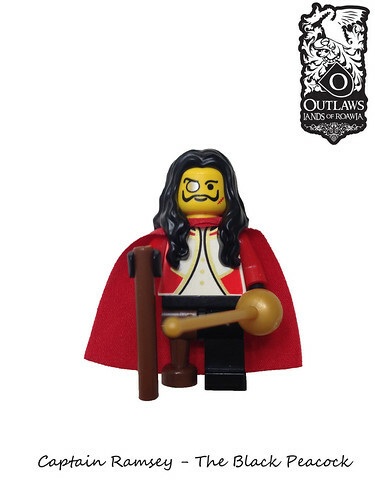 The majority of Outlaws, though, do claim Locklear as ruler. However Locklear has not always led the Outlaws. The Retired Captain is a distinguished member of the Outlaw Council, with his expertise of the seas playing an important role in the discovery of the New Isles. The Phantom has long been involved behind the scenes of the Outlaw Nation, and he plays a invaluable role in solidifying the Barons rule. Legends tell of a mysterious and powerful being named Karain the Shadow who ruled the Southern lands long before Locklear came to power. As individuals began to be exiled for practicing magic and thievery, they wondered Roawia with no place to call a home. Finding unclaimed mountains and swamps south of the Loreesi border, they began to settle in these "badlands." These legends say the badlands were under the ownership of Karain the Shadow a mysterious and dark being. 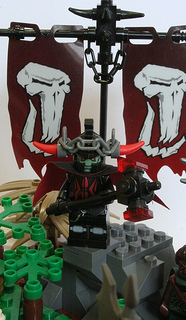 Karain allowed the outcasts to settle in the badlands if they would submit to his rule. Over time, as more outlaws came and their families grew, some began to doubt the tales and even doubted the existence of Karain for he never left his fortress and no one had seen him in living memory. Sometime after the death of Roawia's king, a brave young lady named Galainir of the Badlands brought forth a signet ring identifying her as the lawful and right Queen of Roawia. Galainir began her rise to power, and was unchecked by any forces in the Badlands, including the fabled Karain himself. Once Galainir became queen, her most trusted advisor and sorcerer, Maldrake the silent, was sent to the fortress known as Karain's Rampart. Karain would bend his knee to the new queen or Maldrake would force him to. When Maldrak arrived to the fortress it was empty. Are these tales regarding Karain any more than myths, or has he stepped away from Roawia, biding his time? Of the answers... no one knows. Galainir was a ruthless Queen and was hated by most of Roawia, including the denizens of the Badlands. 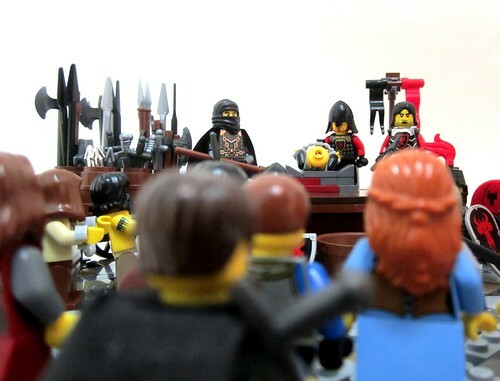 She held many public executions and tortures for crimes of those who would not submit to her willingly. Unfortunately for her, the reign of Galainir was cut short, due to a deadly poison thought to be given by her most trusted associate, Maldrake the Silent. One of the very first public executions of those opposing Queen Galainir's new rule as Queen. - Building style/materials: Crude, varied. In the northern mountains buildings can range from strong fortifications to shanty's and huts. Wooden fortresses and shacks abound in the swamp, while great ports and harbors align the coasts. - Natural resources: Varied. There are an abundance of medicinal herbs in the swamps, with no shortage of lumber as well. - Economy: Theft, trading, medicinal herbs found in the swamps, magic. - Sayings: "All for one! One for All! Every man for himself!!!" - Army: Footsoldiers, Light cavalry, heavy knights, orcs and trolls and other mystical beings, magic. - Navy: Varied. There are large ships to navigate the surrounding seas and smaller ones for fleetness. 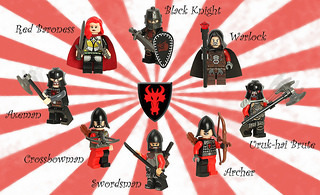 - LEGO sigils: Wolfpack, Fright Knights, Skeletons, Trolls, or any other unassigned faction sigil. 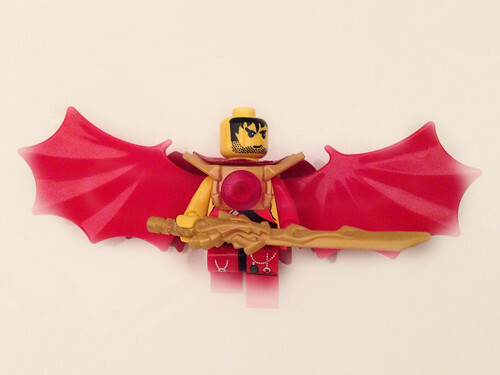 Baron Locklear's official army uses the 2013 Castle Dragon sigil. - Outlaw Motto/Saying: "Every Man A King" & "Every Woman A Queen" Our retired motto: All for one! One for all! Every man for himself! There are quite a few different inhabitants of the badlands. They include (but are most certainly not limited to), humanoids, such as the fierce bear claw clan warriors in the middle picture below. 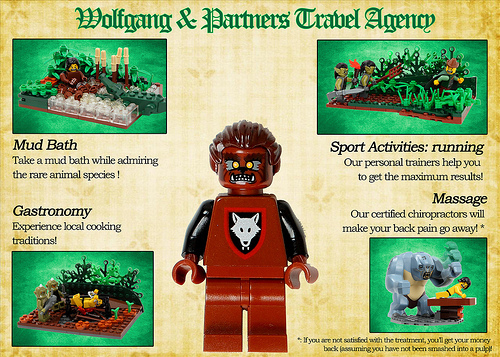 Deviously cunning werewolves, hordes and tribes of gruesome goblins and trolls and various races as well. The undesirable and strange creatures of Roawia have found themselves flocking to the badlands where they will be accepted. 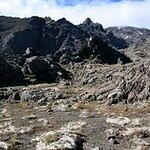 There are no small amount of dwarves as well, although their greatest concentration does in fact, lay in Garheim. These can be varied as well. 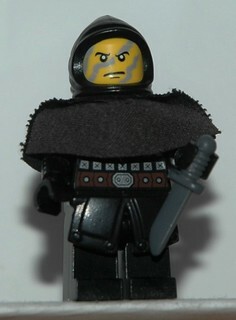 Baron Locklear currently commands the largest force of soldiers in the badlands. They are varied in their specialties and skills. The goblins, as dim-witted and foolish as they are, can be organized into various tribes as well, being wild and reckless warriors who often throw away their life at no care. They feel little pain and tend to be clannish. 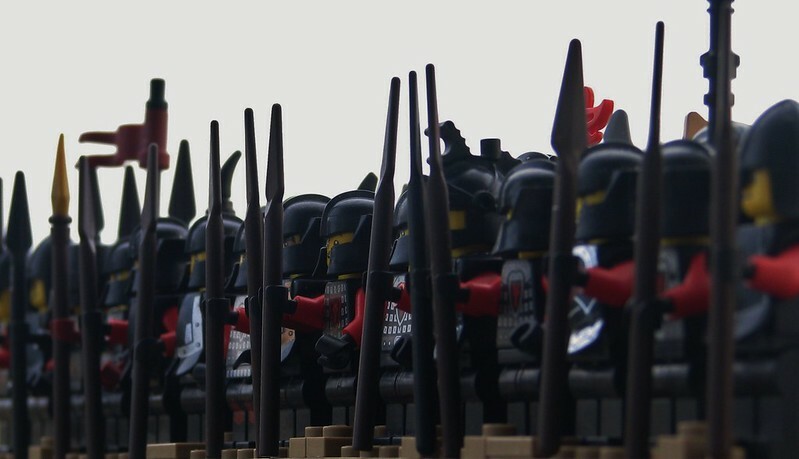 In few numbers, they are weak, but in a large force, one should be wary. 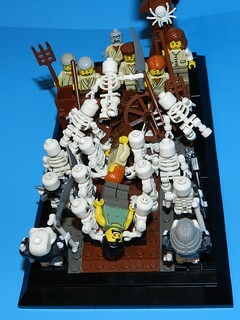 Large droves of skeletal hordes commanded by magically inclined madmen are said to gather in the badlands as well. The culture of Outlaws, like the Outlaws in general, varies from region to region. There are (unbelievably) honest Outlaws looking to just get by. There are those who are seeking to gain wealth and fortune and build up their treasure piles in secret caves, away from the modern world. While most Outlaws are independent, when working together, they make a formidable force. As undesirables and unwanteds, they know how to survive, arguably, better than any other faction in Roawia. They make excellent trackers due to their awareness. 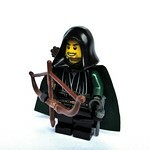 Their faction sports some of the most skilled thieves and masters of assassins and stealth. While they are not the most skilled of fighters and warriors, they believe in "strength and number." Outlaws often seek to overwhelm their opponents with sheer volume of crude, nasty weapons. 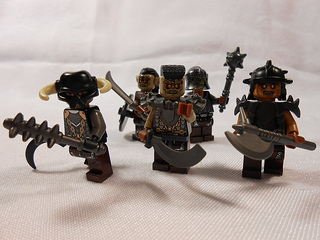 There are large amounts of orcs, trolls, and goblins among their numbers. In most fair fights, an Outlaw won't win. It is for precisely this reason, they won't give you a fair fight. They will cheat, steal, lie, and bully to get their way. It is the only thing they have known. They harness their rage and passion for war to deal tremendous damage. And of course, many Outlaws were once exiled for their involvement in the forbidden magics. As a result, there are many who practice magic, wild and unchecked, in the darker parts of the world. 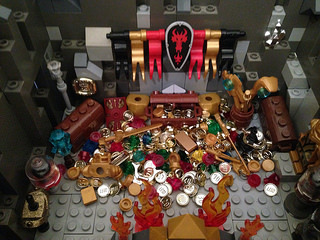 Below you will see an example of one such Outlaw's treasure horde, along with an Outlaw lord proudly displaying his banner of war. 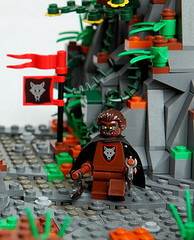 You will also notice the dark Outlaw lord in his secret dwelling, embracing the magics that once had him exiled. These are all reflective of the unique culture the Outlaws embrace. Finally, notice the sly wolf looking to make a pretty coin on advertising all the "good things" you can do in the badlands. 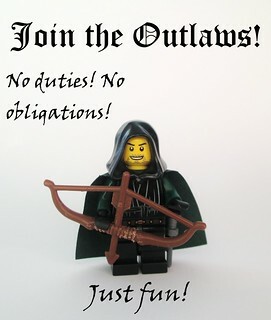 There is a Flickr group exclusively for Outlaws, check it out and sign up here. Please note, this group is not as used as our private forum so if you wish to get something noticed quickly, post it here! 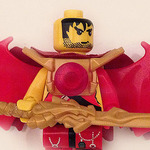 There is also a password-protected private forum on merlins-beard only usable by Outlaws. Ask either the Faction Overseer or Liaison for the password. You can find the thread here. Members are considered active if they have logged on in the last 6 months (1 May 16). Members in dark red have submitted builds since 1 May are are considered active 'builders'. Inactive members are archived below and are welcome back anytime with no penalty. Simply let us know you are active again or even better submit a build!!! Yeah, this is going to be great! Thanks so much Zach! Looks great, excited to see how this transition works out. I do have one suggestion: we update the cover page (I'm so jealous of Loreos! In case you do, I currently have 48 points. I think the point total is going to be updated when we make the "official" switch over here. In the meantime, I am going to be working on the Akademy at Traykid (I have long been putting that off!) and also I think I am going to build select scenes of various activities in the Shade. All of the other capital cities seem to have some things going on except the Shade. I kindly envision the Shade as a "shady" (pathetic pun intended), slums, run-down, crooked, nasty looking place, with all manner of humanoids with very little law enforcement or order to the place. What about everyone else? 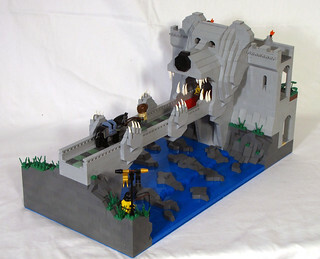 By update I meant more along the lines of more background, pictures, famous outlaw MOCs, etc. Schmidt, your idea for the shade was exactly what I always pictured it to be as well! 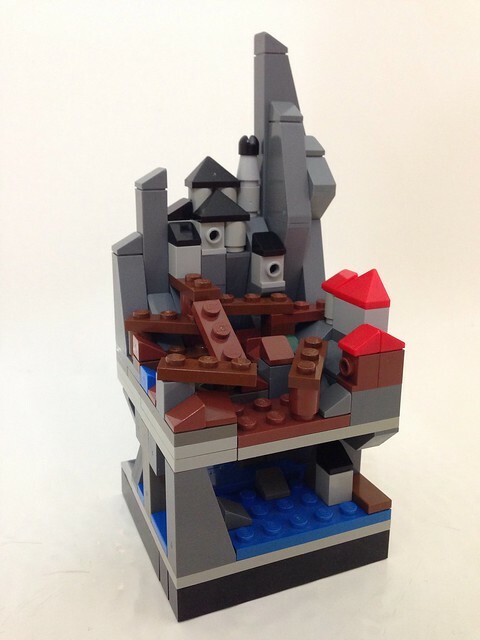 I am going to try and work on some micro builds, maybe one or two will be good enough to represent a city or town. I think that would be appropriate Drakk. After that, I'll see what can be done about the front page! There are some exciting things that will be taking place, and I am currently working on formatting us a new main post that is worthy of the greatest of Roawia's inhabitants! If there is ever anything I can do as your FO, please do not hesitate to contact me. All for one, one for all, every man for himself!!! I thought it was quite clever myself. I love that build by the way, it's comical. Hey all. First post is almost done. animmortal just PMed me and pointed out a typo. If you find anything like that, or would rather (for whatever reason) your builds not be displayed, please contact me via the PM system.